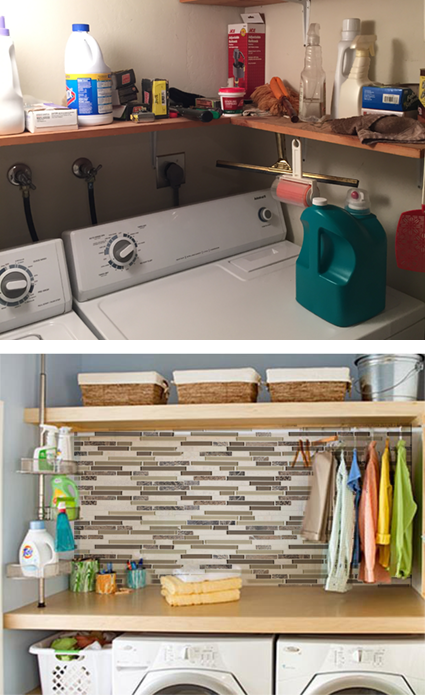 Why shouldn't your laundry room appear as fresh as the warm white sheets you just pulled from the dryer. Look at the area above your washer and dryer and imagine a decorative tile backsplash in place of your scuffed, neglected walls. 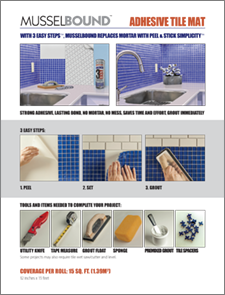 MusselBound Adhesive Tile Mat can help make the hardest working room in your house beautiful with a new backsplash made of glass tile, stone tile, porcelain tile, ceramic tile or metal tile. You may need to disconnect and move your washer and dryer away from the wall(s) that will be tiled to create an accessible work area. Comprehensive and easy-to-follow application instructions for MusselBound and your new tile can be found on the MusselBound Adhesive Tile Mat label, at musselbound.com, and on the MusselBound Adhesive Tile Mat YouTube Channel. 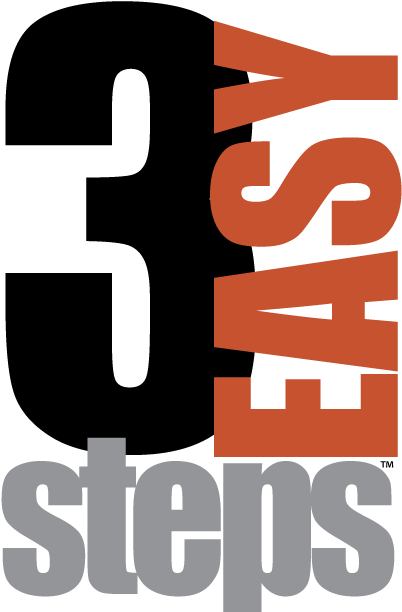 We look forward to seeing photos of your DIY tiled washer & dryer backsplash. Please send your laundry room backsplash pictures and a review of MusselBound Adhesive Tile Mat to musselbound.com, Facebook, pinterest.com/MusselBound, Wayfair.com or lowes.com.